As seen on Philadelphia ABC News – August 17, 2018. 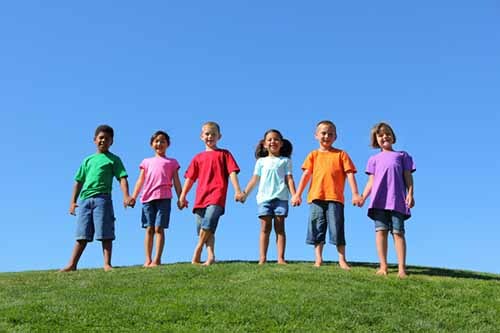 Are you a member of a corporation, foundation, charity, or nonprofit looking for an opportunity to support children? Would you like to demonstrate your leadership as a community partner? Are you concerned about reducing and preventing children’s bullying in schools and communities? Then keep reading! This book and this website are for you! If this is your first time on our website: Read more about I’ve Got Your Back immediately below, then scroll to the page for corporate partners or charities and learn how you can support your community by including a copy of I’ve Got Your Back as a school and home resource for parents, teachers, and children. Download our info sheets. The general book info sheet is on this page. Watch for other info sheets throughout the website, showing how companies, charities, foundations, camps, and mentor groups can use or distribute I’ve Got Your Back through school- or community-based groups serving children. If you need more info, use the Contact Us form below. Working together, big change happens. We can create safe, nurturing environments where children can work and play in peace! Empower children of all ages to stop bullying in its tracks, and let them know that caring adults will always have their backs! This book will guide adults as they help kids build positive, respectful friendships, stick up for one another, and develop empathy and self-esteem. Why is prevention the best solution to bullying? How can I support my child if he/she is being bullied? When should my child ask for help from a teacher? Why is self-esteem important for making friends? How can I help my child form positive relationships? How can I encourage my child to stop bullying behavior? 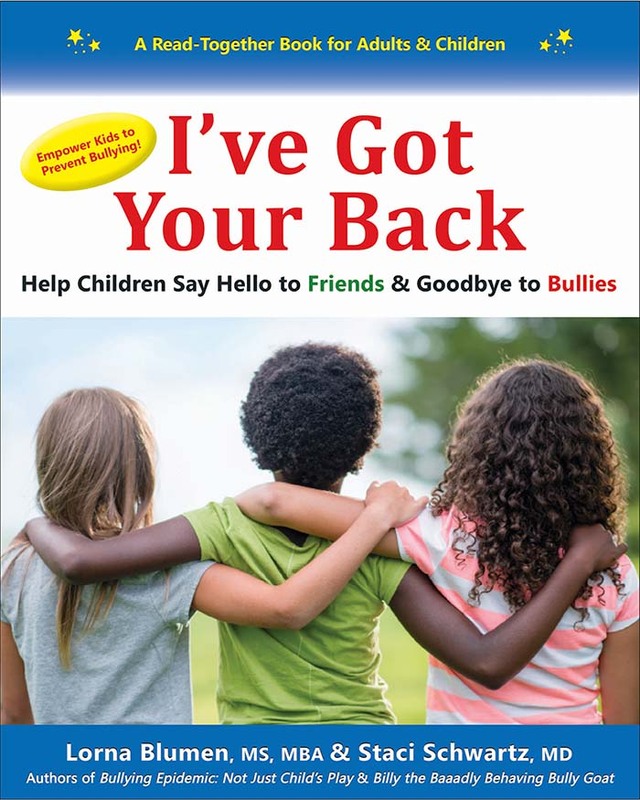 I’ve Got Your Back: Help Children Say Hello to Friends & Goodbye to Bullies empowers children to form positive relationships and protect themselves from bullying. Parents and caregivers will learn to help kids (ages 5-10) build self-esteem, friendship skills, empathy, and resilience. Bring learning to life with engaging children’s stories and fun skill-building activities that will help kids immediately improve their social interactions. 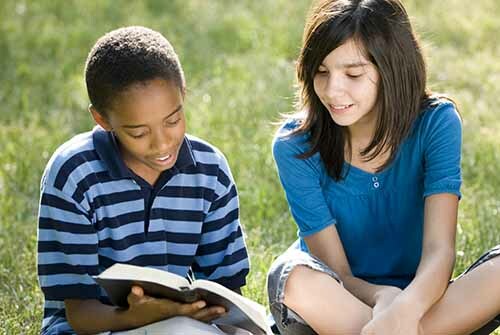 Now, bedtime reading can equip kids with life-long relationship skills! Teachers will also love I’ve Got Your Back. The activities are easily adapted for use in the classroom. Having read I’ve Got Your Back and watched my adult daughter use it with her 8 and 5-year-old sons, I’ve concluded that this book will be both timely and impactful for parents and teachers as they strive to help children cope with bullying in school and on the playground. The book explains the reality of a bully’s behavior, provides exercises enabling children and adults to discuss the problem comfortably, and suggests ways for children to support potential victims who need help. I’ve Got Your Back fills a void in character education and offers sound advice at multiple levels. Check out Katie Loewenstein’s blog post about I’ve Got Your Back on Rosalind Wiseman’s Cultures of Dignity blog! Learn more about their critically-important work in bullying prevention, respect, and dignity! Rosalind Wiseman’s website, Cultures of Dignity, was listed on YellowBrick as a Gold Medalist parenting resource website (we agree! ), with a special shout-out to I’ve Got Your Back. Working together, great changes happen! With separate and read-together chapters for children and adults, I’ve Got Your Back is a short, action-focused guide for parents to help children (ages 5-10) become bully-resistant and form positive friendships. Parents and teachers will love the engaging children’s stories with “Stop & Think” discussion ideas and practical bullying prevention strategies for each age group. Summer camp’s around the corner! Use I’ve Got Your Back to train camp staff on bullying prevention. Chapters for adults provide key info for parents, caregivers, and teachers to help kids build self-esteem, empathy, and resilience, while strengthening the bonds between adult and child. 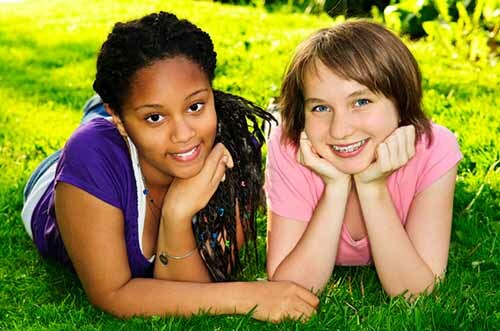 I’ve Got Your Back provides practical solutions to the common problems that make kids vulnerable to being bullied. Skill-building activities, for adults and children to do together, help kids make friends, navigate awkward social situations, and stand up for themselves and one another. LORNA BLUMEN MS, MBA, is a children’s and adult workplace bullying prevention specialist. She is the author of five books, including Bullying Epidemic: Not Just Child’s Play and Girls’ Respect Groups: No More Mean Girls! She is the lead developer of the Girls’ Respect Groups Program for girls 10-18, now used in over 130 countries. She has appeared on Canadian and US television and radio and spoken at numerous international conferences. STACI SCHWARTZ MD, is a physician and an educational consultant for children’s bullying prevention and tolerance education. She is the author and illustrator of several children’s books, including Billy the Baaadly Behaving Bully Goat, The New Bear on the Block, and their companion Teacher & Student Activity Guides. Staci conducts bullying prevention workshops in elementary schools, after school programs, and religious institutions. Support Your Customers. Empower Children. Stand Up for Bullying Prevention! I’ve Got Your Back: Help Children Say Hello to Friends & Goodbye to Bullies can help your company promote kindness, acceptance, and respect among your customers. We would like to partner with you to get I’ve Got Your Back into the hands of as many parents and children as possible. It’s a “tipping point” strategy. Help us reach huge groups of adults and kids and get them on the same page about bullying prevention, by putting key information and practical strategies in their hands – and minds – at the same time. Help us move bullying prevention forward in a BIG way! Do good while building customer loyalty and boosting sales! For retail businesses, pair I’ve Got Your Back with your company’s products as a gift-with-purchase or purchase-with-purchase. 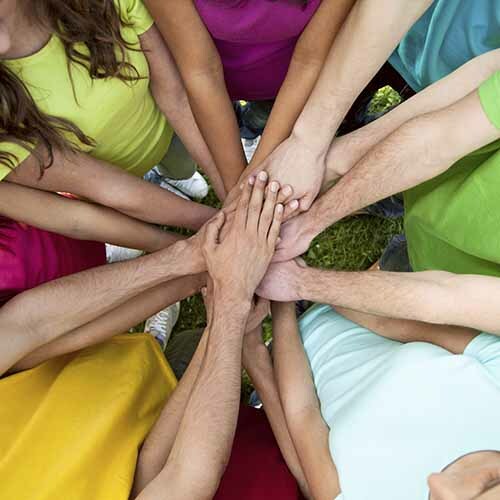 Raise your community partnership profile and make your company shine in the eyes of your customers! For non-retail businesses, share I’ve Got Your Back with your customers and employees. Stand up for bully-free schools and workplaces! I’ve Got Your Back can also be purchased at bulk discount and donated to schools, youth and after school programs, and religious institutions in your communities. A perfect opportunity for back-to-school season and a great support for adults and kids at any time of year. Stand up for kindness in your community! Your company can demonstrate active support for bullying prevention, with more visible presence than a behind-the-scenes donation. Bullying affects children of all ages, backgrounds, and socioeconomic levels. Supporting bullying prevention can change children’s lives! I’ve Got Your Back can be customized with your company’s logo and/or a message from your CEO, President, or other key personnel. There are easy tie-ins for celebrity endorsements. Many celebrities have shared their personal experiences with childhood bullying and are now stepping up, as young adults, to support bullying prevention. A celebrity who lends his or her voice to this important cause can highlight your commitment to corporate responsibility and attract customers. Please contact us to learn more about corporate sponsorship opportunities. Fill out the contact form below. We look forward to speaking with you! Empower Children. Stand Up for Bullying Prevention. Change Lives! Children’s bullying is a serious and escalating problem. Bullying undermines learning, damages hearts and brains, and increases the risks for depression and anxiety – for victims, targets, and bystanders. The social cost is huge and the longer bullying continues unchecked, the harder it is to repair. Children must feel safe and connected in order to learn and bullying must stop for that to happen. I’ve Got Your Back: Help Children Say Hello to Friends & Goodbye to Bullies is a powerful tool to support children to create positive, respectful relationships and resilient self-esteem. I’ve Got Your Back is uniquely designed for adults and children to read together. Short and action-focused, I’ve Got Your Back clearly identifies “Bullying Essentials” – what kids, parents, caregivers, and teachers really need to know. Engaging children’s stories about friendship, bullying, and conflict, along with practical, skill-building activities for adults and children to do together will help children become inclusive, empathic, and respectful of themselves and others. Children will learn to protect themselves from becoming targets of bullying behavior, how to deal with bullying when it occurs, and how to stand up for one another. Adults will learn to create consistent, protective environments where bullying is caught at the earliest stages. Teachers can easily adapt all activities for classroom use. We invite you to partner with us to get I’ve Got Your Back into the hands of as many parents, teachers, and children as possible. 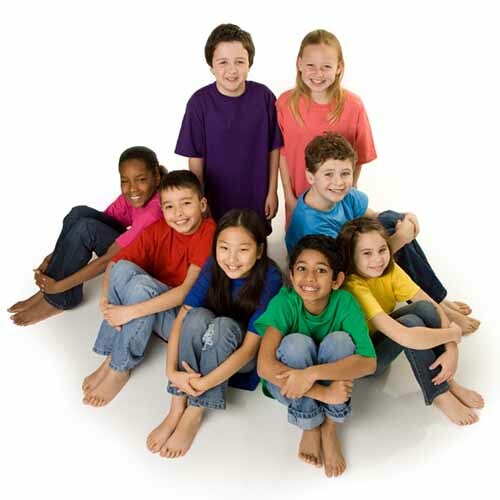 By educating large groups of adults and kids to implement practical social behavior strategies at the same time, we can move bullying prevention forward in a BIG way! I’ve Got Your Back is the perfect item to pair with school supplies and resource kits. It’s a great way to build a culture of kindness and empathy. Using the same teaching resources in every elementary classroom creates consistency and progress within the school. When children bring I’ve Got Your Back home to share with parents and siblings, communication opens, children feel supported, and standardization of important messages is improved between home and school. I’ve Got Your Back can be incorporated into youth, after-school, and religious programs. Anywhere children come together in social groups is a great place to build the skills of collaboration and friendship. Back-to-school season is a perfect opportunity to “press the reset button” to create and bolster safe, nurturing school environments. Did you know that October is National Bullying Prevention Month? I’ve Got Your Back is great support for adults and kids at any time of year. Working together, we can stand up for kindness in our communities! Please contact us to learn how your foundation or charity can partner with us. Fill out the contact form below. We look forward to speaking with you! If you’re interested in creating a sponsorship opportunity in your community – or nationwide – using I’ve Got Your Back, fill out the contact form below and we’ll get back to you as soon as possible to discuss the ways you can use this book. Thanks for your interest and your important partnership in protecting our kids!